Scary stories are meant to scare you, right? 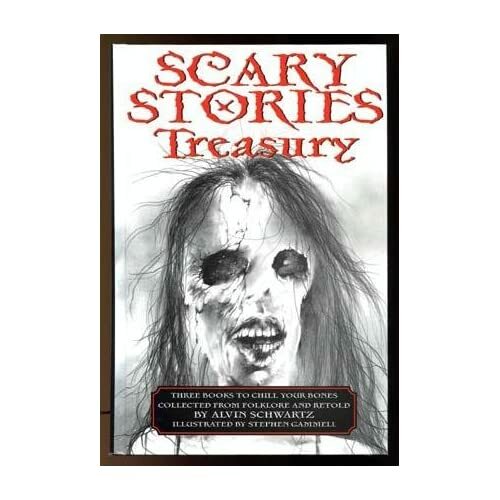 For those of you not familiar with Scary Stories to Tell in the Dark you are missing out on one of the most visually terrifying and bone chilling short story books of the 1980s. 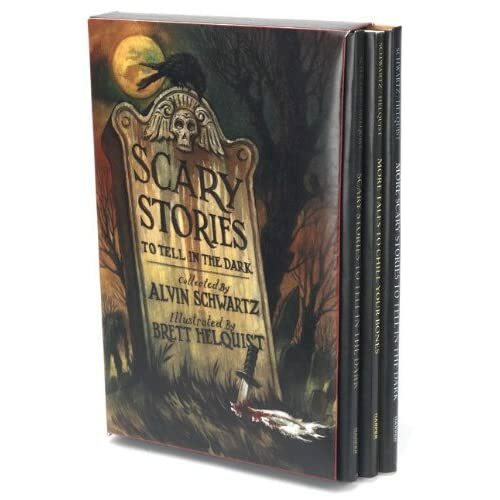 Written in 1985 by Alvin Schwartz, this collection of ghost stories and horrific mystery, is for many children the introduction into the world of horror writing. Scary Stories is that first taste of blood in your mouth as you realize you bit your nails too low; it’s that first adrenaline rush that leaves you aching for more and yet afraid to turn the page; it’s the place where you find stories that you share with your friends and insist are true because you read so in a book (ahem, cousin Julie, remember the overgrown sewer rat story that you insisted was true?) And while the stories are scary enough to stand on their own, Stephen Gammell’s artwork is what really makes this book make you want to leave the lights on at night. Gammell’s interpretation of Schwartz stories are grotesque and disconcerting and really do provide the kind of visual imagery that that we see in our heads as children. When presented with only our imaginations to create a vision of what is going bump in the night, we are always imagining the worst. We are not seeing Disney interpretations and and Victorian England. But thanks to over protective parents and overly sensitive children, that is exactly what we are gonna get from now on. Enter Brett Helquist, the illustrator of such wonderful series as A Series of Unfortunate Events and The Chronicles of Green Knowe. Now don’t get me wrong, I think Helquist’s images are beautiful, whimsical and Gothic. But I feel like they be would more appropriate in a children’s version of Sweeney Todd than a masterpiece of horror. Why mess with a classic? No one is going to tell Maurice Sendak that Where the Wild Things Are needs to be reillustrated because it is too scary. I mean, isn’t that the whole point? To see some examples of the re-invention of Scary Stories to Tell in the Dark click here.